were typed in over the large touch screen into the machine. The calculation of the hardness value is done automatically. 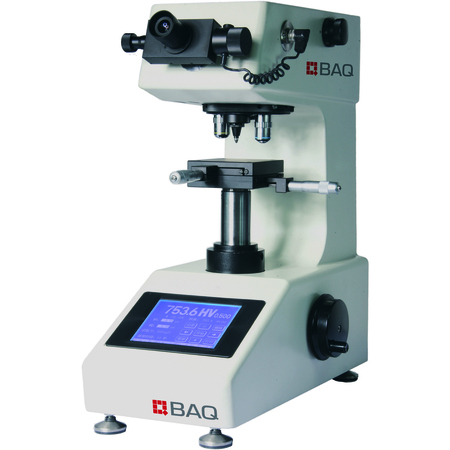 The Micro Vickers Hardness Tester has two optical paths and can be upgraded with a camera system and a measuring software for Windows PC's without any problems.